As the European Union struggles under the reality and threat of countries or regions leaving it (as discussed in “Humpty Dumpty in slow motion”), it might be thought that the United States of America represents a haven of stability. But the Southern Confederacy was not the first or last word on secession, which history shows is as American as apple pie, writes Joseph E Fallon.. The United States was founded upon the concept of secession. Not once, but twice. 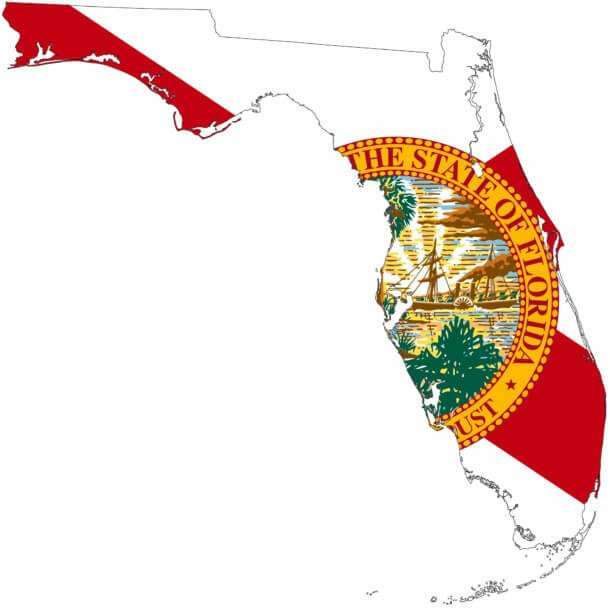 First, in 1783, when colonies seceded from the British Empire. Second, in 1788, when states seceded from the United States. 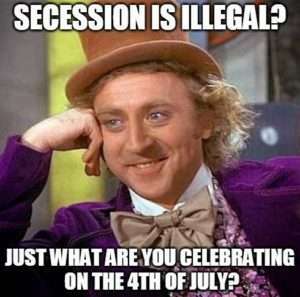 From 1788 to 1861, it was recognized by such leading political figures as Thomas Jefferson, Alexander Hamilton, James Madison, father of the U.S. Constitution, and John Quincy Adams that a state or a group of states, North, South, East, or West, had the legal right to secede from the Union, if their citizens so wished. Constitutional Convention was held in Philadelphia, PennsylvaniaÂ from May 25 to September 17, 1787. The convention drafted a new constitution in violation of the expressed legislation authorizing the convention only to propose amendments to the Articles of Confederation and Perpetual Union, making the drafted document illegal. The proposed constitution was unconstitutional, since it sought to replace the Articles of Confederation and Perpetual Union, the existing government, without unanimous consent. Rhode Island boycotted the convention. Lacking attendance by all the States in the Union raised a question of the legitimacy of the Convention at the very start. Seventy delegates were appointed by the twelve States willing to attend the Convention, but fifteen (20 percent) of those appointed refused to do so. Fifty-five delegates did attend, but of those sixteen (nearly 30 percent), including the majority of the delegates from New York and Virginia, and half the delegates from Georgia and Massachusetts, refused to sign the final draft of the proposed new Constitution. The nine states ratifying the new constitution seceded from the government of the United States under the Articles of Confederation and Perpetual Union to create a new government, and for two years, a new country with new borders. Soon 11 of the 13 States ratified the new constitution. North Carolina and Rhode Island, at first, refused to join the new union, and remained sovereign, independent republics until 1789 and 1790 respectively.. Some delegates, however, sought to insert a clause in the proposed constitution prohibiting the future right of secession to States acceding to this new union. They advocated granting powers to the federal government to use force to suppress any future secessions. Within eight years of the ratification of the U.S. Constitution, the first secession movement arose. In 1796, fearing the election of Thomas Jefferson as the successor to Washington, New England states led by Massachusetts, sought independence from the United States. When John Adams defeated Jefferson and became second President of the United States, New England secessionism subsided. It flared up, again, in 1800 when Jefferson was elected the third President of the United States.Â And, again, in 1803 when President Jefferson purchased the Louisiana Territory from Napoleon. New England States would seek secession from the United States again in 1811 over the admission of the State of Louisiana into the Union, and again in 1814-1815 over “Mr. Madison’s War” (The War of 1812) at the Hartford Convention.